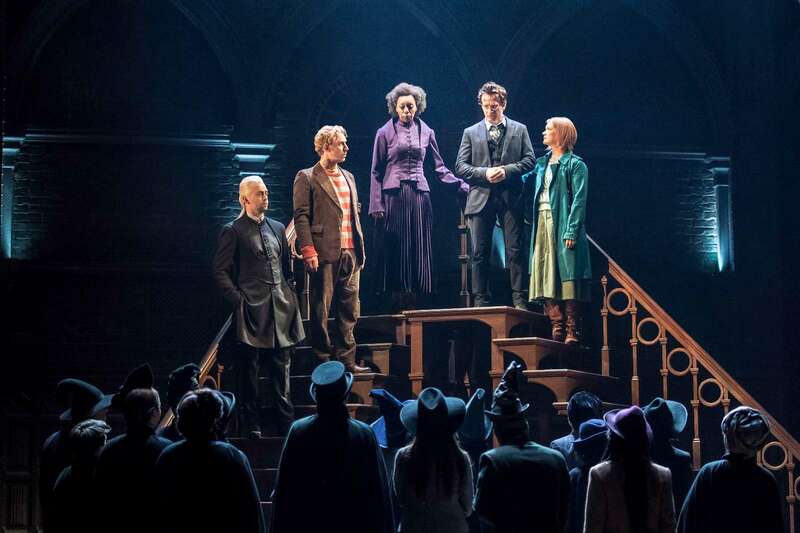 Harry Potter and the Cursed Child will be spread across two plays, that will be performed in London. The premiere of the play in London’s West End was on July 30, 2016. Both plays are also being published as a book. Scholastic released the book on July 31, 2016. Beware of mild spoilers and plot description. Prophecies! He who must not be named! Hagrid! The Whomping Willow! A love-lorn Severus Snape! A painful scar! Sounds like Harry Potter is back in town! J.K. Rowing said it would never happen, that she had ended the Harry Potter story with her seven classic novels. But now we have a play, Harry Potter and the Cursed Child! So how is it? It’s fine, wonderful, lame, heart-rending, maddening but overall, I’m just going to say, lacking. But I’m glad I read it. You a Harry Potter fan? Read this book. There’s a Star Trek Deep Space Nine where, through the magic of computers, the DS9 crew travels back in time and enters the Star Trek original series episode, “The Trouble with Tribbles.” It’s a good episode and a lot of fun, with DS9 characters peeking out from around corners at the familiar action from the popular old episode. Although I’m sure there are people who would strenuously disagree with what I’m about to say, “Tribbles” is not nearly as good as anything in the Harry Potter canon. And we’ve just got a new addition to said series, Harry Potter and the Cursed Child. The book is sort of like that long-ago DS9 episode, new characters peeking around corners at Goblet of Fire. Well, we also get to see a few alternate dimensions where the death eaters are in power or poor Hermione can’t even land Ron. But for the most part, Harry Potter and the Cursed Child is a clip show of some fun Harry Potter moments from the last few seasons, a Friends Thanksgiving episode. Before I go on, Harry Potter and the Cursed Child is a play. I can only review Harry Potter and the Cursed Child as a reader. I haven’t seen the play. I’m not going to be able to see the play in the foreseeable future. But I could read it. And so I did. I wish I could see the play. I’m certain it’s great, at lease from a spectacle and bombast perspective. The first thing that jumped out at me when I was reading Harry Potter and the Cursed Child, is that I wondered if this was something that was taken to J.K. Rowling’s people, not something that JK envisioned and took to the playwrights. Because there are moments from the books, time traveling flashbacks, dream sequences, containing moments that JK wrote. Were those moments enough authorship to get her name in the largest font on the cover? How much of the rest of this did she have anything to do with? It’s more of a retread than an original story, a “What if?” story, like all those Twilight Zones where the Nazis won World War II, except it’s Voldemort succeeding in killing Harry Potter, mostly. If someone was able to sell Rowling on this idea, could others be around the corner? Did you know that a lot of countries have a bootleg Harry Potter? Russia has Tonya Grotter, for instance. I know some Russian kids grew up with her and swear she’s better than Harry Potter. Without having read any of the Tonya Grotter novels— which I’m pretty sure will never be translated into English because of international copyright laws— I feel like I can safely say that the Potter books are far superior. But I found myself wondering as I read Harry Potter and the Cursed Child, was this what it was like to read a Grotter novel, to be a Grotter fan? Peaking though the fence slats at something better, but never quite able to get there? There are moments in the play that readers craved in the books. Prayed for. Like, Snape acknowledging that Harry was brave, being proud that Harry’s son is named for him, which were moments that Snape couldn’t have. Snape’s arc in the novels was perfect, showing that you don’t have to be a friendly person to do the right thing. And Severus Snape was never going to apologize for who he was. The Snape in this play is more of a cuddle monster than he should be, gruff, but lovable, easily moved to tears. I knew Severus Snape and you, Sir, are not him. In other words, not all of the characters seem like themselves. So what’s the play about? Harry’s middle child, Albus, is in Slytherin and best friends with Draco’s boy, Scorpius. Neither of their dads are thrilled about it. But Albus is not thrilled with his dad either, the boy who lived is a difficult legacy to live up to and Albus wants to be himself, practically a squib, not just the son of Harry Potter. So when Harry refuses Cedric Diggory’s father, who wants Harry to go back in time and save Cedric, Albus is moved by Amos Diggory’s plight and decides that he and Scorpius will go back in time and make things right, if only just a little bit. Albus might be a little into Amos’s niece, Delphini, as well. Well, butterfly effect, things don’t go as planned, alternate reality. But we get to check in with most of the poplar characters and places in the Harry Potter franchise. Hello, Delores Umbridge! This might sound crazy, but I didn’t want a Voldemort connection in this new story. Voldemort has seven dense novels to have his moment and bringing him back here did nothing at all to further the story of Tom Riddle, the once and future Lord Voldemort. Not every villain needs to be the ultimate villain and I, for once, would have been all right with someone who wasn’t the greatest dark wizard who ever trod the Earth. And Voldemort is not the bad guy exactly, but his shadow falls across many of the more interesting moments in the story. The play uses our pre-existing knowledge of Voldemort to create tension without actually earning it. Expect a lot of fan fiction about the alternate realities. But really, none of them were nearly as interesting as what actually happened in the novels. Albus and Scorpius are not only the main characters, but the most interesting characters in the story. And Ron, Hermione and Harry are in the story. Albus and Scorpius are complex and have arcs, if only to accentuate the idea that parenting is a lot more difficult than saving the world from Voldemort. I liked the boys and would be interested in reading a novel about them. But in the world of reading a play, I wish there was more to their story. Reading a Harry Potter novel is to be completely immersed in the wizarding world, what they eat, what they do with their time, what’s fun, what’s not, what are their interests, everything. But in the play, we get snapshots of what makes them interesting. 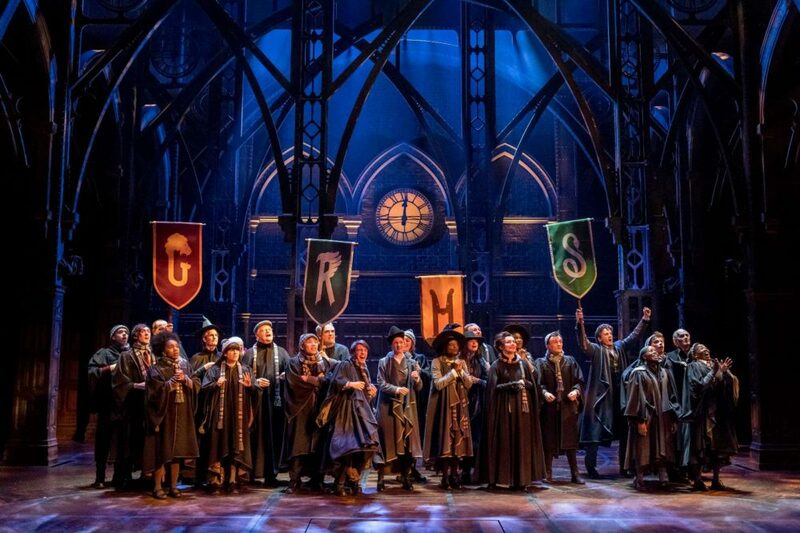 I’m certainly not saying that plays can’t be deep, but this particular one doesn’t really flesh the boys out as much as J.K.’s Harry Potter novels did for the lives of our original three heroes. One aspect of this play that can never be overestimated is that it’s Harry Potter. Harry Potter! 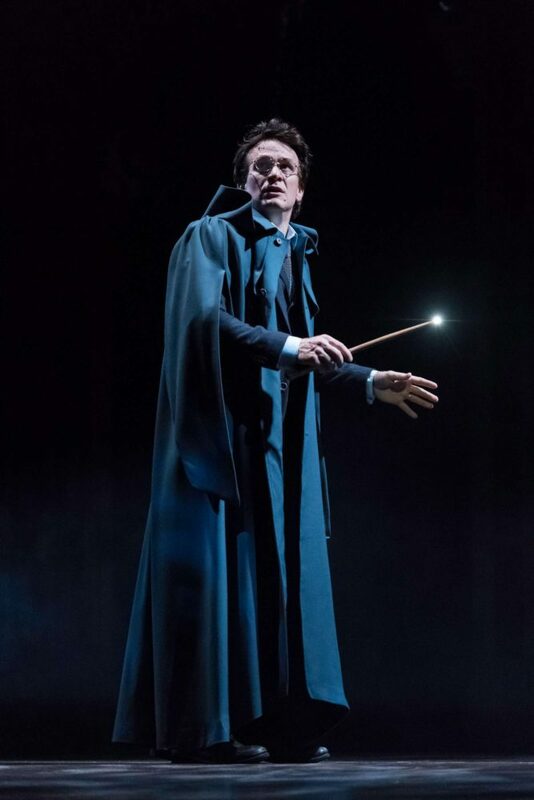 The idea of new Potter adventures is very exciting and carries with it a cultural cache, it gives the lightest moments in the play a heft because of that which has come before. This cache can be quickly overused and Potter will become something different than what he now represents. So that is a warning to J.K. Rowling in her use of the man himself. But this is the first time and it works. The Harry Potter scratch was itched. Sure, there were none of the great moments of the novels, but there were good moments. It’s worth reading, which I feel like I should stress amidst all this criticism. I started this review talking about a half-remembered TV show, Deep Space 9. And that’s what this new Harry Potter feels like, forgettable, not bad, not great, pretty good maybe, but with none of the moments that made the original series so great. Instead of decisions and consequences, we get an apocalyptic future that may happen, all of the books undone by a bad guy that, frankly, isn’t all that powerful or smart, which means that the book isn’t clever. If this was an episode of a pretty good TV show, yeah, it would be great. But as a reader, I was left thinking that this wasn’t a new Harry Potter story to stand tall beside the books. I’m not even sure how much of it Rowling actually wrote. My guess is, not much, maybe none of it. I bet it would be a lot of fun to see the play though. It’s probably amazing, but more like a superhero movie than the Harry Potter series. Feel good, cheer-worthy moments are not bad, but it’s not what the Potter series was built around. If you’re a Potter fan already, read it. And hell, if you’re not, see the play if you can. I bet it will be great. But I doubt in twenty years that children will be reading this. In fifty, it probably won’t be remembered. And I know this is sort of grandiose, but in 10,000 years, I think people will still be reading the original seven books. A lot of that song’s lyrics are murky in their specifics for me, but I’ve always assumed he meant the Beatle lookalikes that toured for a while in the ‘70s, playing Beatles songs for people who would never hear the actual Fab Four in concert. Did those concerts scratch the itch? I know people slept out for Harry Potter and the Cursed Child, re-creating part of the fun of the original seven books. I know that the book is breaking sales records everywhere. But is this just Beatlemania? Sadly, I must say, yes. Sure, it’s a reasonable simulacrum, but the one thing no one has ever been able to match is the magic of the McCartney/Lennon harmonies or whatever the hell it was that made the Harry Potter books so amazing. So, read Harry Potter and the Cursed Child. Scratch the itch. But don’t expect to be thinking about it in ten years. P.S. J.K. Rowling says, “This is it! The last Harry Potter story!” She said that last time too. I, for one, would welcome any time Rowling decides to return to her classic creation. P.P.S. I think the Butterfly effect is poetic, right? If we killed all the butterflies in Asia would we have less hurricanes? I propose an experiment! ‘Suicide Squad’ Review – Can You Say Hot Mess? Uh oh…now I fear for little Albus! Great info all around. Thanks for keeping us ever-so-slightly-drifting-and-aging Potterheads informed!